The Call of Duty: Modern Warfare 2 "Captain Soap MacTavish" ultra-premium ARTFX Statue sculpted by Kotobukiya depicts Modern Warfare veteran Cpt. "Soap" MacTavish of Task Force 141, equipped with custom snow camouflage and weaponry as seen in "Cliffhanger" mission from Modern Warfare 2. 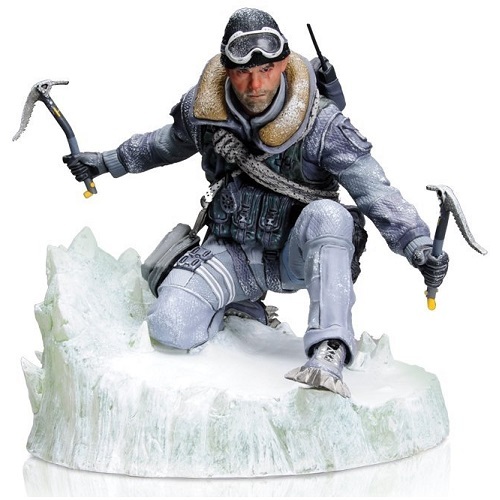 This 1:6 scale statue comes with three sets of interchangeable arms and weapons - equip the statue for display as desired and and store the alternates in the environmental ice base.